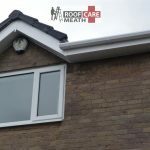 Guttering contractor in Co. Meath. 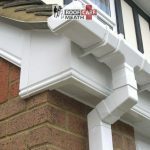 Affordable and reliable guttering repairs in Meath. 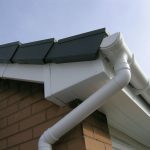 All types of gutter repairs and installations carried out. Large or small. 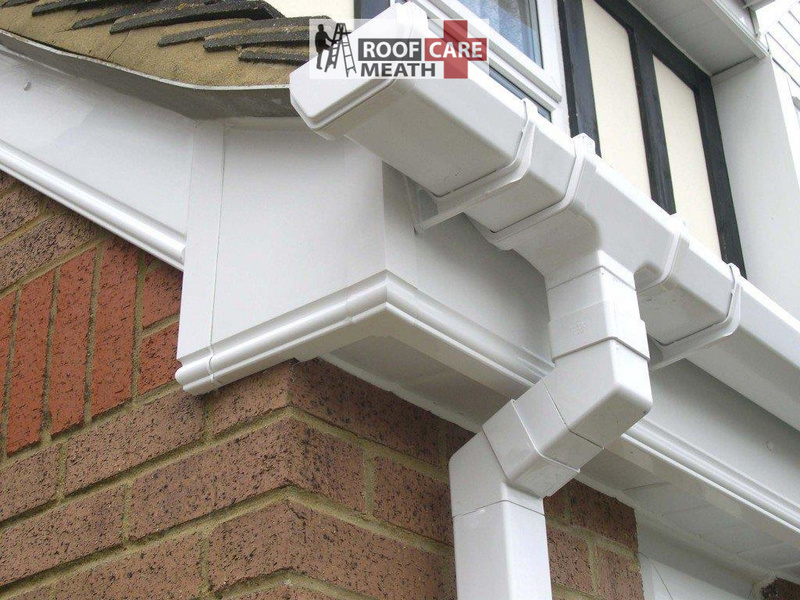 Guttering repairs handled professionally and efficiently. Same day call out. Emergency guttering repairs carried out on the spot. All work guaranteed. 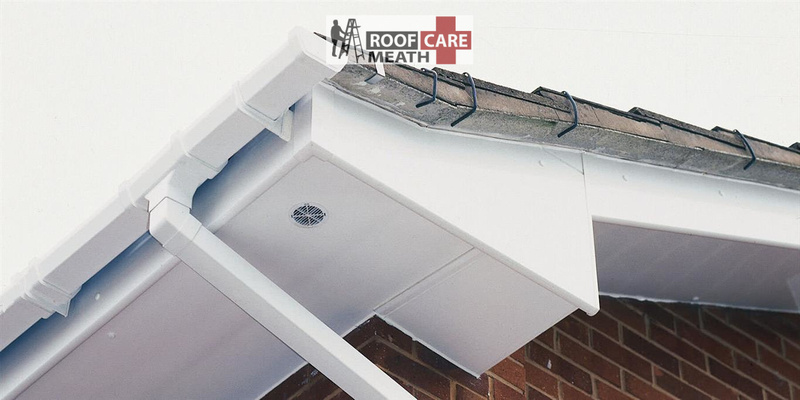 Registered and certified guttering service company for Meath. 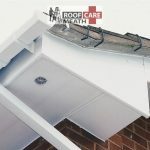 As a guttering company in Meath, we understand how important it is to have guttering that is 100% functional and can be relied upon to drain away water from your roof. Stagnating water can lead to various problems at your home and can damage the integrity of the underlying structure. 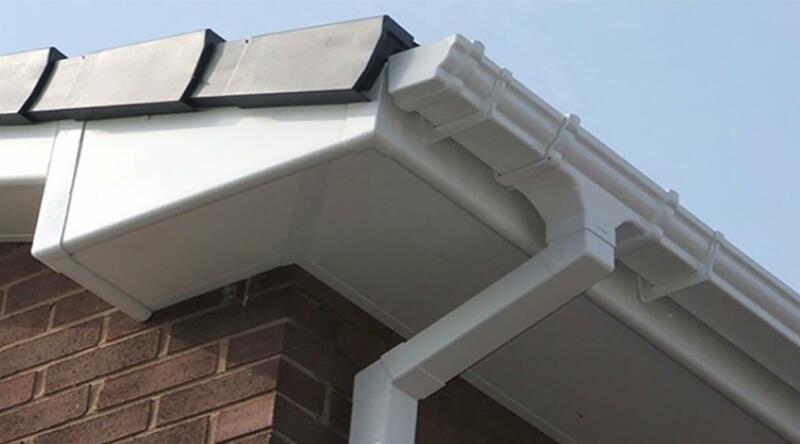 Having correctly installed guttering is a major requirement for any long term structure. Regardless if its your house, a garage or shed, any type of roof that will be collecting water needs to be drained away correctly. 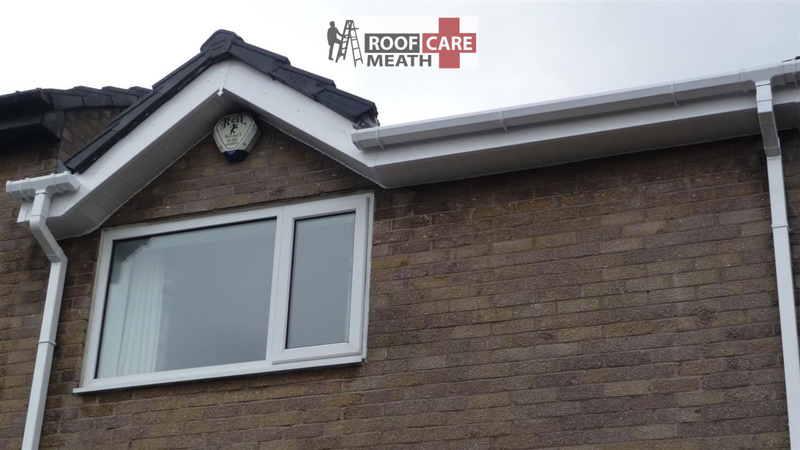 When you call Roof Care in Meath to assess your guttering system, we will perform a thorough assessment. 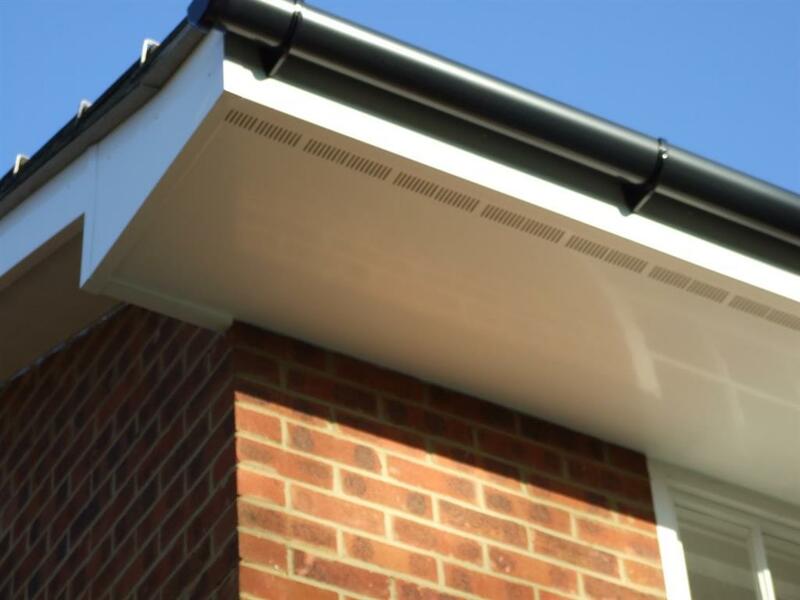 Our options range from standard guttering to PVC guttering, soffits and fascia replacements. We can provide a range of installation options that vary in colour. From black guttering, white, brown, offset white, cream and chrome. 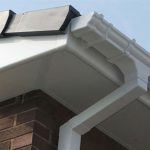 We offer a range of styles from standard rounded guttering to squared guttering. 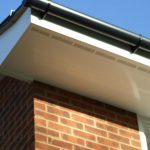 Depending on your house and its outlook, we can provide samples to help you choose the right type of guttering to suit your home in Meath. 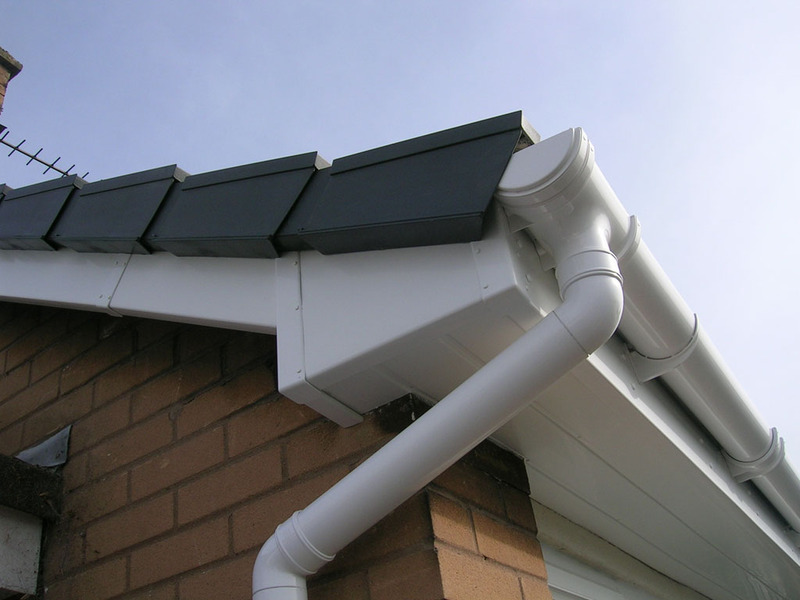 Our soffits and fascia systems are available in matching styles and colours to our gutter system. Samples will be of course provided to ensure you are 100% satisfied with the choice. We can provide a list of references from previous installations and tours of previous work are available upon request and provided the previous client does not mind having someone visit them. All our work is done to the highest of industry standards in Co. Meath. From standard replacements to repairs of any size. Before we undertake any of the work, we will make sure you that you understand the entire procedure and what the work will entail including the price. The price we quote, is the price you will pay. We have been trading for over 20 years now with long term references dating back over that period. Our team carries full public liability insurance and are safe pass certified. We ensure our team is up to date on codes of practices and adhere to construction regulations. We aim to provide a competitive, friendly and efficient service to all our clients. If you would like to know more or would like to get in touch, we would love to hear from you. All work covered a by written long term guarantee.